On Tuesday, November 6th, New Yorkers will vote in the General Election for Governor, NYS Attorney General, NYS Comptroller, and the state legislature, as well as local judicial offices and federal positions. A roster of Citizens Union’s endorsed candidates in several key races, and information about the rigorous evaluation process and assessments of candidates. A list of Citizens Union’s positions on the three proposals that have been placed on the ballot by the 2018 New York City Charter Revision Commission. An overview of the 2018 elections, including voting and registration information and listings of every contest for all races that will be on the ballot in New York City on November 6th, 2018. We caution voters that there may be last minute elimination or reinstatement of candidates on the ballot, so the list contained in this directory may have changed since this document was printed. For more information, visit the NYC Board of Elections website at http://vote.nyc.ny.us or call (866) VOTE-NYC. In this election cycle, Citizens Union has evaluated 17 candidates in 6 races for Governor, NYS Attorney General, NYS Comptroller, and NYS Senate to determine who strongly supports our issues, can advance a reform agenda, and can best fulfill the obligations of the position. Interview teams made up of Local Candidates Committee members assess the candidates based on their responses to CU’s questionnaire (a pre-requisite for interviews), research, first-hand knowledge of the candidates, and interviews with the candidates, which are approximately 30 minutes each. The interview teams then make advisory recommendations to the full Local Candidates Committee, which deliberates and makes recommendations to the Citizens Union Board, which makes the final decision. An “Endorsed” rating reflects a candidate that Citizens Union deems not only qualified for the office with a viable candidacy, but also committed to an agenda of positive reform. Please note that candidates not endorsed may nevertheless be highly regarded, which is generally reflected in the commentary. Citizens Union issues a “Preferred” rating in primary elections, and an “Endorsed” rating for General Election contests. A “No Endorsement” rating may result when there is insufficient information available, it is believed that the candidates are of equal merit, or if no candidate interviewed by Citizens Union is believed to be effective or capable of representing the district. detained in jail awaiting Grand Jury action or are confined in prison for an offense other than a felony..
Mail your Absentee Ballot Application or Letter of Application by Tuesday, October 30th. Apply for an Absentee Ballot in Person at your local county board of elections office by Monday, November 5th. Mail in your Absentee Ballot with a postmark by Monday, November 5th – it also must be received by the local board of elections no later than November 19th. Drop off your Absentee Ballot in person by Tuesday, November 6th to your local board of elections office – a friend or relative can drop it off..
Once done, place your ballot in the privacy sleeve, proceed to the scanner area, and insert the marked ballot into the scanner to cast your vote. Your ballot can be inserted in any direction. This Voters Directory would not be possible without the hard work of members of the Citizens Union Board, Local Candidates Committee (LCC), staff and interns. 27 volunteer LCC members, 5 interns, and staff members formed nonpartisan interview teams and evaluated 17 candidates in 6 races for Governor, NYS Attorney General, NYS Comptroller, and NYS Senate. We thank them for contributing their time, energy, and expertise this fall to interviewing and evaluating candidates. 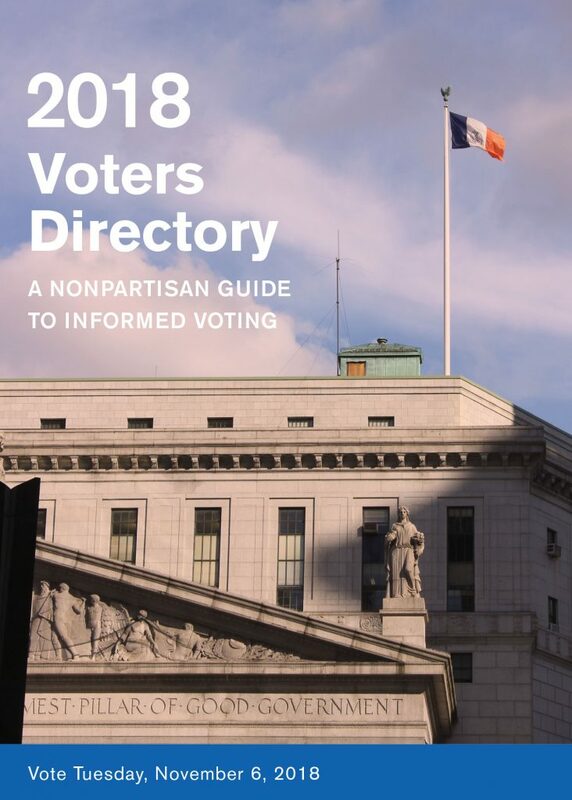 We thank you for your support, and hope you enjoy the latest edition of the Voters Directory.